The Department runs a course of medical and biological physics (MBP) for the first year students and a course of medical information science (MIS) for the second year students. According to the curriculum the study of medical and biological physics is realized in Semester I and II. The program of the “Medical and biological physics” is divided into 3 modules, which in their turn are subdivided into 9 content modules. The course of lectures in “Medical and biological physics” is accompanied by practical studies, which according to methods of their organization, are seminars and laboratory works. Laboratory practical trainings give to the students additional practical skills in the field of medical and biological physics during the usage of modern diagnostic and physiotherapy electronic equipment, devices of dosimetric radiation control, viscosimetric and optic methods in medicine, etc. During laboratory studies the students are recommended to write down protocols of carried our researches, where the research aim is to be formulated, the work course, results of researches and conclusions are to be briefly given. In accordance with the educational plan the medical information science study is realized in Semester I and II. The program of “Medical Information Science” is divided into 2 modules, which, in their turn, are subdivided into 6 content modules. The types of studies in accordance with the curriculum are lectures, practical studies and independent work of students. Subjects of the course of lectures disclose problem questions of the corresponding sections of Medical Information Science. The main trends of activity of the Department is the creation of medical study aids where the material is expounded according to the content of a new program in biophysics, information science and medical equipment; preparation of study aids in medical information science for students and elementary physics for students of the preparatory department; modernization of laboratory practical studies in biophysics; development of new programs of two new courses – medical information science and bases of the system analysis; mastering of courses, read in foreign language, and the edition of required study aids. For several years the Department of biophysics, information science and medical equipment has been one of the bases, where students of the Kharkiv National University do their practical work. The research activity of the Department has a famous history. In 1924 A.O. Slutskin created the first magnetron, by means of which he obtained 7 cm electromagnetic waves, the shortest for that period of time. For the achieved success Prof. A.O. Slutskin was elected a full member of the Ukrainian Academy of Science (1948). From 1938 till 1953 the efforts of the Department collaborators were directed to the development of circuits development and construction of devices for the usage in medical practice. Under the direction of Prof. O. Ya. Usikov the separate issues of biophysics – the influence of high-frequency electromagnetic fields on living organisms, organism “thermal topology” at different conditions, thermoregulation in an organism, etc were studied out. Later Prof. O. Ya. Usikov became the head of the Institute of Radiophysics and Electronics. He was elected as the real member of the Ukrainian Academy of Science. From 1968 to 1976 under the direction of O.V. Adolf two scientific laboratories have been created – radioisotope and radiospectroscopy - and the big cycle of works directed to the influence of the stress condition on the protein synthesis and nucleic acid at laboratory animals. 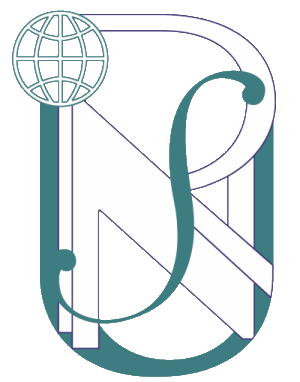 Using the possibilities of a radioisotope laboratory since 1976 to 1996 the department under the direction of V.I. Pakhomov took an active part in researches of artificially created conditions (adrenal necrosis, experimental infarction, hypothermia, toxic influence, etc.) at the biosynthesis processes in cells of the most important organs of laboratory animals. Changes in the processes of protein synthesis and nucleic acid, morphofunctional disorders. In the 80s the Department of Physics started the fruitful collaboration with the Department of X-ray diagnostics, X-ray therapy and radiation medicine (Head of the Department Prof. M.I. Pilipenko). The aim of the researches carrying out was the improvement of diagnostics methods and treatment of diseases on the basis of modern achievements in physics, cybernetics and radiology. Following the famous scientific traditions since 2000 under the direction of V.G. 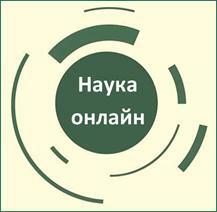 Knigavko scientific researches in the radiobiology field, directed to the creation of mathematical models of the oxygen and glucose diffusion process in malignant growths and the metabolite consumption by tumor cells, have started. 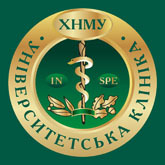 The main trend of scientific work is the research on the basis of Institute of the Medical Radiology, Academy of Medical Sciences of Ukraine, connected with the creation of a database of oncological patients and the usage of data accumulated in a database to reveal the patterns of the change of diagnostic-informative indices of patients in the process of their treatment by means of mathematic statistics methods. One of the scientific activity trends of the Department has become the ecological biophysics since 1995. Along with Central Scientific and Research laboratory, by the Department of Biochemistry and Scientific and Research Institute of human ecology and hygiene of the environment researches are carried out by the Radiological Academy of Medical Sciences in the field of such important modern ecological problem as the protection of water ecosystems from the anthropogenic load.